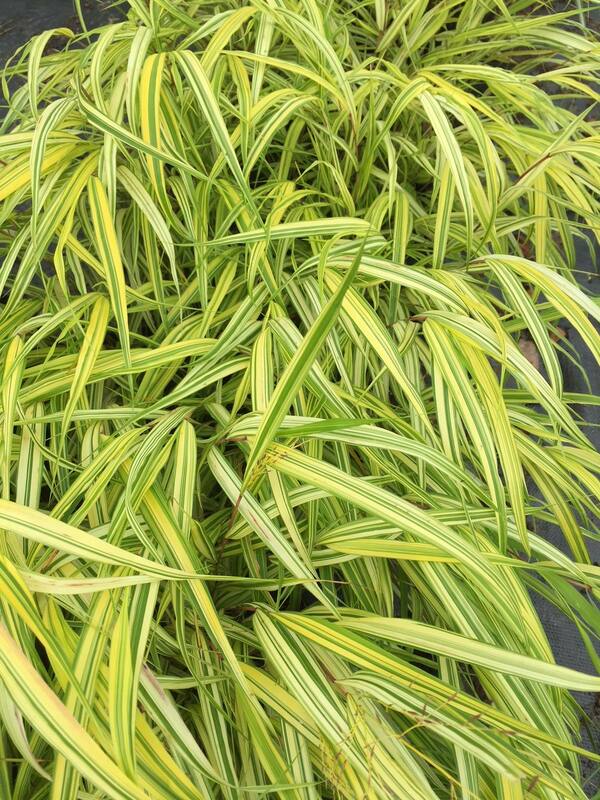 A Japanese forest grass with green and creamy-yellow striped leaves which turn plum in the autumn. An excellent low ground cover plant in shade, whilst also being stunning in a large pot in a shady spot. Plant in multiples for effect or to soften borders or edges. Deciduous, but leave the flowers on for added winter interest. Pot size 1.5 litre. Hardiness zone H7. Cut back hard in early spring to make room for new growth and is also a good time to divide established plants.